We keep it simple here at Born and Thread by selecting the best garment suppliers for you. Have a look at their extensive product catalogues below and let us know what style and colourway you would like printed. Don’t see something you like? No problem at all, let us know what style or cut you are looking for and we can help find it for you. AS Colour has been setting the standard worldwide for high quality apparel used for screen printing and embroidery. See some of the most popular garments from AS Colour below, with direct website links. Gildan is one of the largest t-shirt manufacturers in the world and know a thing or two about making a t-shirt. 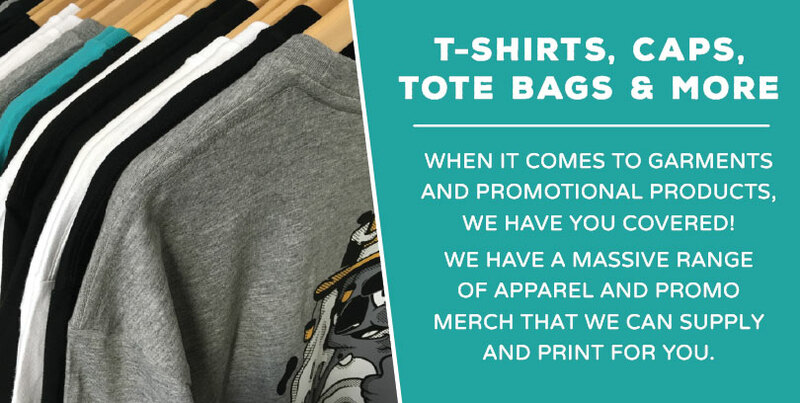 If you look through your tees, it’s more than likely that you already own a couple of them, as they are a very popular choice for band merchandise and other apparel companies. See some of the most popular garments from Gildan below, with direct website links. JB’s Wear has an extensive range of sports wear, school wear, hospitality and work wear. We most commonly use this range of garments for sporting brands as well as professional trades with their large range of hi-vis work wear approved to Australian Standards. See some of the most popular garments from JB’s Wear below, with direct website links. Ramo delivers the best value for money when it comes to blank garments, with a huge range of active wear there will be something suitable for your sporting needs! Their t-shirt range has some colour options your don’t see with other brands including fluro and pastel options that can help make your prints stand out. See some of the most popular garments from Ramo below, with direct website links.